Yuki Saito has spent most of the past two seasons off the Hokkaido Nippon Ham Fighters’ ichi-gun roster and with the farm team. His poor showing so far this year makes one wonder just how many days he’ll spend with the top team going forward. Saito (0-1, 8.22 ERA) allowed three runs in 4⅓ innings against the Chiba Lotte Marines in his first start of the season on April 2. 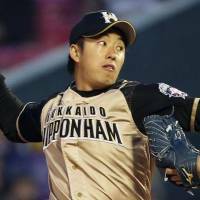 He was pulled from his latest turn, April 17 against the Tohoku Rakuten Golden Eagles, after four Eagles crossed home plate in his 3⅓ innings. The first-place Fighters sent Saito back to the farm soon after that game against the Eagles. He’ll now spend the next several days, likely longer, there figuring things out. Nippon Ham drafted Saito in 2010 to great fanfare and introduced him in a ceremony at Sapporo Dome that drew nearly 8,000 fans. He hasn’t yet lived up to his lofty billing, however, and it might be time to wonder if he ever will. Saito’s outing against Rakuten last week was a microcosm of much of his career, which is to say he had trouble with his command and control. He missed his catcher’s target too often and didn’t seem to have a good feel with his pitches. Hitters can be offensive against Saito these days, because he’s having trouble throwing strikes consistently. He also doesn’t have velocity that’s going to worry many at this level, so sharpening his breaking balls, commanding his arsenal and pitching with control are paramount to his getting back on track. The Fighters’ strong start puts more pressure on him if he hopes to make a mark this year. Because if Nippon Ham is in the thick of the pennant race, there may not be room in the rotation for a pitcher manager Hideki Kuriyama can’t count on, especially not when the team has other arms waiting in the wings. Basically, it may be a while before we see Saito in the rotation again, if at all. Saito could reinvent himself this year as a quality arm out of the bullpen or serve as a spot starter. Either way, the former first-round pick is starting to look like somewhat of a bust. A sour state for a player who was one of baseball’s brightest stars as an amateur. Saito’s legend was built pitch-by-pitch, as he dabbed away sweat with his now-famous blue handkerchief during the 2006 National High School Baseball Championship. He was dubbed the “Handkerchief Prince” and looked the part. 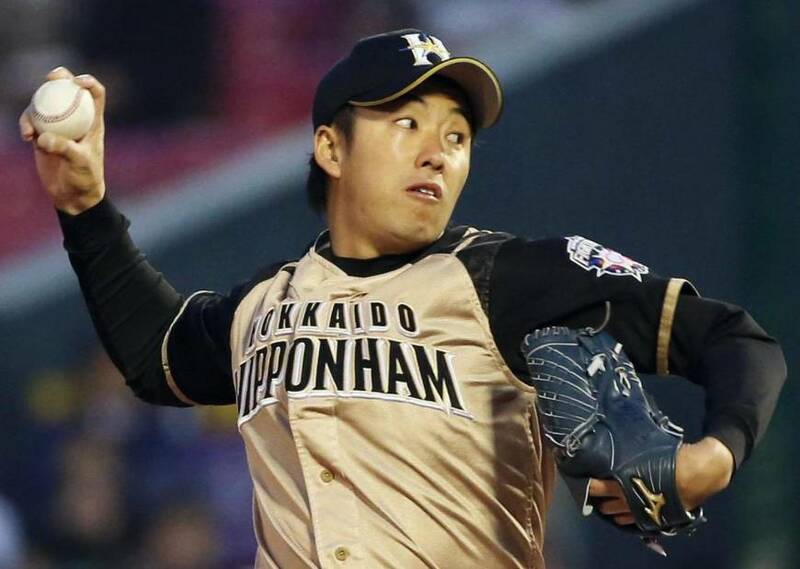 Calm and dashing, Saito was regal on the mound of Koshien Stadium’s all-dirt infield, even in the sweltering heat of a Kansai summer, throwing 948 pitches in a gritty, though perhaps unwise, performance for Waseda Jitsugyo over the two-week event. He finished his stirring run by fanning Komadai Tomakomai’s best player, Masahiro Tanaka, for the last out of one of the most-watched finals in history to cement his star status. We know now, with the benefit of hindsight, that while the Handkerchief Prince reigned that day, Tanaka was the one destined to one day assume the throne as Japan’s best player. Saito hit more highs in college at Waseda University, where he helped win the All-Japan University Baseball Championship Series in 2007 and was named MVP in the process. Pro success has, to this point, proven more elusive. Saito, now known affectionately as “Yu-chan” in the media, is 13-17 with an 3.80 ERA in 47 appearances across five seasons. Shoulder issues can explain away a chunk of his time off the top team, but his general ineffectiveness when healthy is more troubling, obviously. Now he’s experienced another stumble early in a season he began with high hopes. Everyone remembers Yuki Saito because of what’s he done. The more pressing issue for him now, is what’s next?